India and Bangladesh share 54 rivers between them. Despite setting up a Joint River Commission  for water management as early as 1972, tensions between the countries on how to share resources recently came to a head in a dispute over the Teesta River. At stake are the lives of countless people from West Bengal and Bangladesh who depend upon the river for survival. To date, only one comprehensive river pact has been signed by India and Bangladesh – a 1996 bilateral treaty  that established a 30-year water-sharing arrangement between the two countries. This was set to change in September 2011 when India’s Prime Minister, Dr. Manmohan Singh, was due to sign a pact with his Bangladeshi counterpart regarding access and use of the Teesta River. 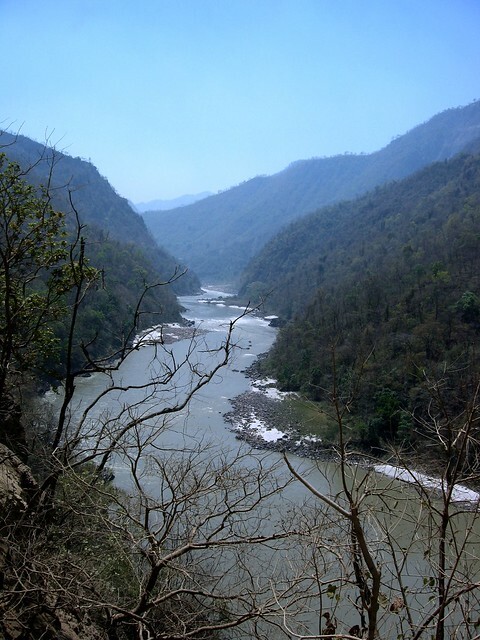 The Teesta – which has its source in Sikkim – flows through the northern part of West Bengal in India before entering Bangladesh, where after coursing through about 45km of irrigable land, merges with the Brahmaputra River (or Jamuna when it enters Bangladesh). In 1983, an ad-hoc water sharing agreement  was reached between India and Bangladesh, whereby both countries were allocated 39% and 36% of the water flow respectively. The new bilateral treaty expands upon this agreement by proposing an equal allocation of the Teesta River. However, the deal fell through  when the then newly elected Chief Minister of West Bengal, Ms. Mamata Banerjee , refused to approve the treaty, fearing that the loss of higher volume of water to the lower riparian would cause problems in the northern region of state, especially during drier months. Given that water is a state issue in India, and that Banerjee’s political party, the All India Trinamool Congress , is a key coalition partner of the ruling central government, the deal could not go through without her approval. While a large section of the Bangladeshi populace as well as the Indian media vilified her rigid stance, her opposition to the terms of the treaty was not without its share of support . In May 2012, during a visit to India, the Bangladesh Foreign Minister, Ms. Dipu Moni, warned that  bilateral relations would be complicated if India fails to deliver on the Teesta water-sharing agreement. Despite this pressure tactic, the treaty remains a slow burner as India continues its efforts of domestic political consensus building . However, the Indian Minister for External Affairs, S.M. Krishna tried to diffuse tensions and assured  Bangladesh that India remains committed to an early solution on the issue of sharing Teesta waters. Bangladesh also wants a quick resolution to the issue, and may even be willing to soften their stance  because of mounting pressure at home to get the deal done. This post and its translations to Spanish, Arabic and French were commissioned by the International Security Network (ISN) as part of a partnership to seek out citizen voices on international relations and security issues worldwide. This post was first published  on the ISN blog , see similar stories here .